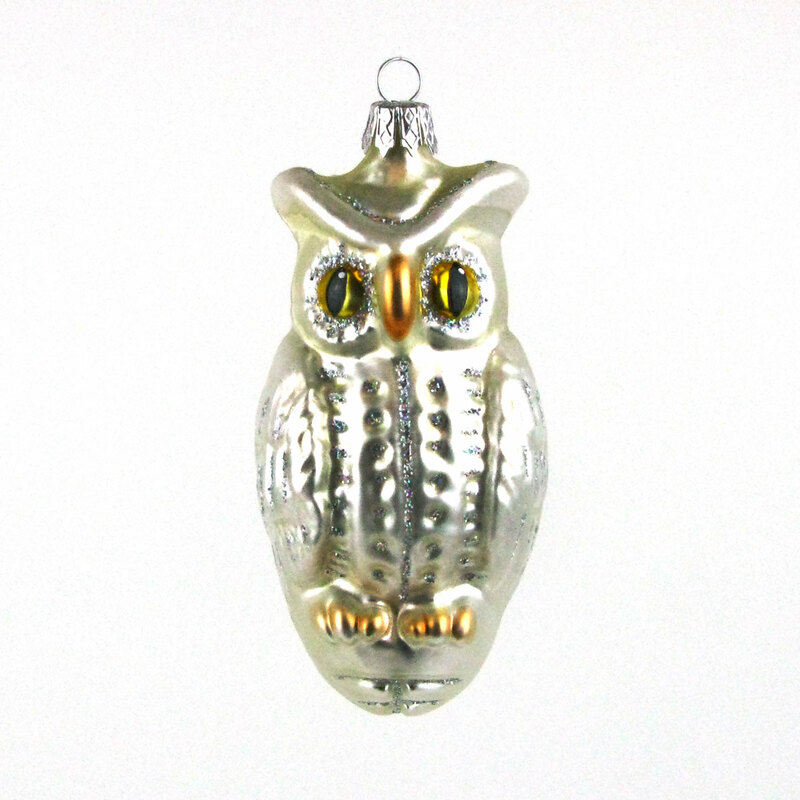 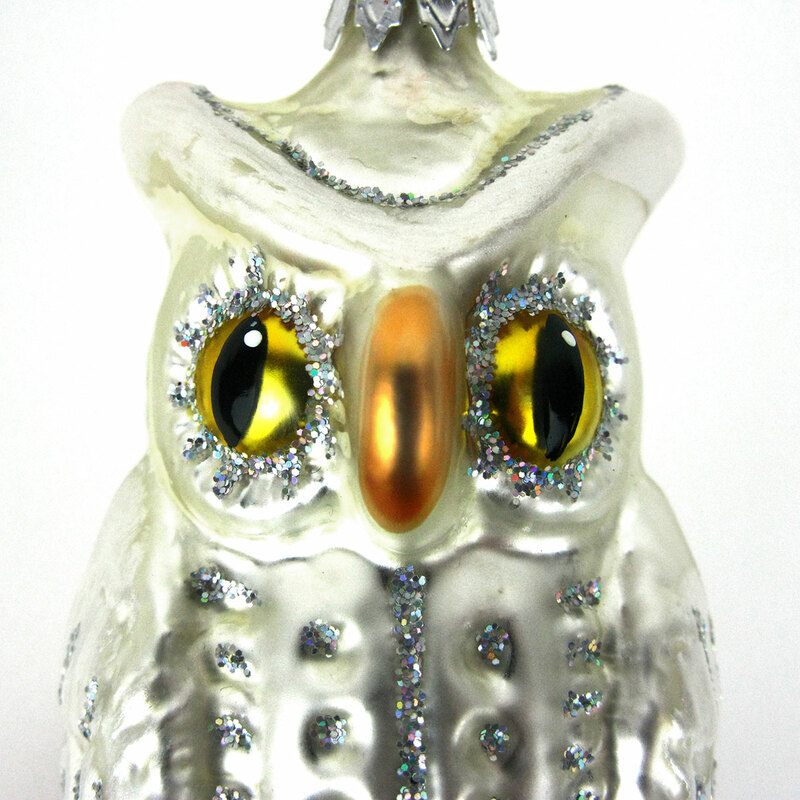 This silver owl is stunning with her yellow eyes and glittery details. 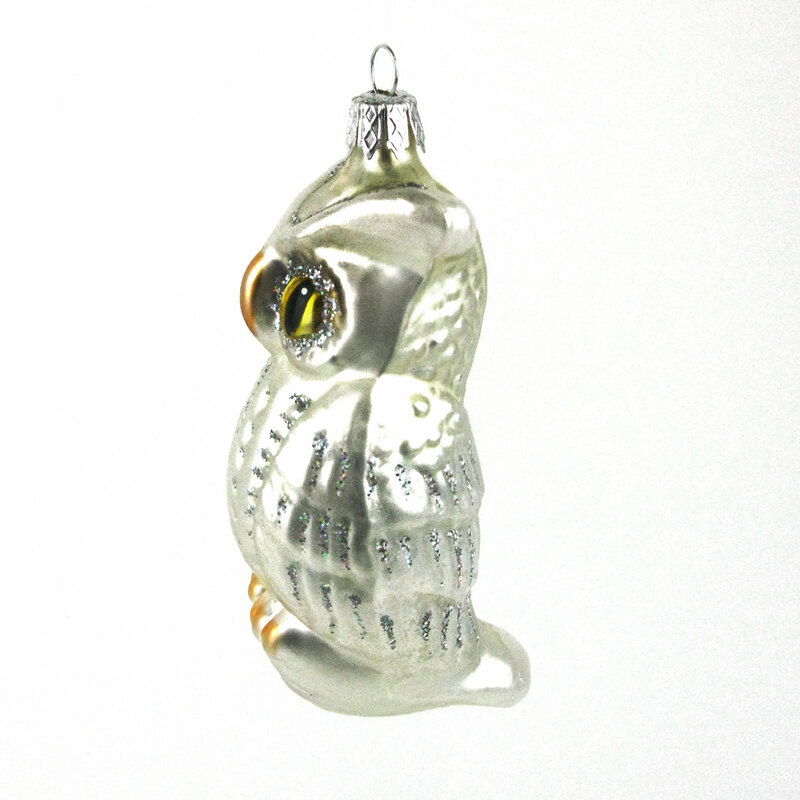 Mouth-blown and hand painted in Poland, it is made from soda glass. 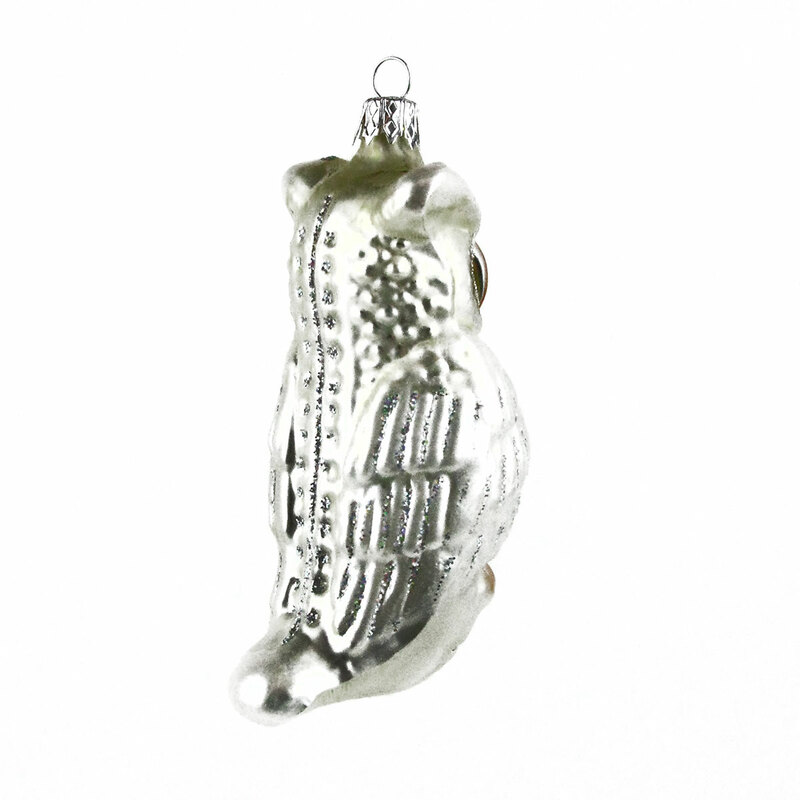 Please note: this product is less than our minimum order of £10.